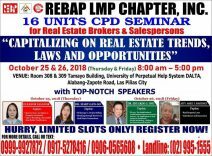 The Real Estate Brokers Association of the Philippines (REBAP) Las Pinas, Muntinlupa, Paranaque (LMP) Chapter shall be conducting 2013 Continuing Professional Education (CPE) Seminars on August 17 and 31, September 14 and 28, and October 19, 2013 (all Saturdays), from 8:00am to 8:00pm. Note: The CPE seminar scheduled for October 19, 2013 has been postponed until further notice. This is a requirement for renewal of the real estate broker license and accreditation as a real estate salesperson. Why take the CPE seminar? I heard that there are already around 27,000 licensed real estate brokers to date. All of them need to renew their licenses every three (3) years, and some already need to renew this 2013. My license will be expiring at the latter end of 2014 but I have been attending CPE seminars already because the topics are very good and I like to learn new things all the time (nerd!). Also, I believe it’s good to take CPE seminars when the schedule is good (Saturdays, I believe, are good for those licensed brokers who are not yet full-time in real estate and have day jobs). Each day in REBAP-LMP’s CPE seminars is equivalent to twelve (12) CPE units. 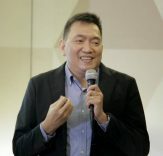 Real estate brokers are required by the PRC to have sixty (60) CPE units to renew their licenses, so the five days of seminars with 12 units each will enable a real estate broker to complete the required units already (no need to look for different CPE providers from different places just to complete the requirement). The guidelines for renewal of PRC Licenses at PRC Central and Regional Offices as well as SM Malls may be found here. I have not yet applied for renewal of my real estate broker license (it will be expiring in Dec. 2014), but CPE certificates for 60 credit units are required for renewal under the RA 9646 IRR. 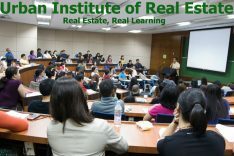 For people who have completed at least two years of college and are interested in real estate as a source of income, a one-day CPE seminar would give them 12 units of CPE which is part of the requirement for accreditation for a salesperson of a licensed real estate broker. I know that there are many people who are performing real estate services without a real estate broker license or without accreditation as a salesperson, so getting twelve (12) units of CPE is a good first step to legitimize their activities. Please look for a real estate broker who would be taking you under his/her wing. The Professional Regulatory Board for Real Estate Service (PRB-RES) recently approved the accreditation of 1,086 salespersons and scheduled their registration last week. The guidelines for their accreditation was embodied on PRB-RES Resolution No. 13 ( Series of 2011). 1. Submit the filled-up or accomplished application with documents for pre-evaluation to the Office of the Secretary, PRBs or of the Assistant Secretary, PRBs (3rd Flr. Main Bldg.) at the PRC Central Office, and the Regional Offices processing counters. 3. Proceed to the Customer Service Center for the metered documentary stamp. You can order these online through the NSO e-Census website or through business centers of SM malls (cheaper if through SM malls). You may also go the NSO office at East Avenue, Quezon City as the cost here is the cheapest but I noticed that the lines are usually very long. You may get this from the Registrar of your school. NBI Clearance Frequently Asked Questions (FAQ’s) where you can check the requirements, steps, fees, places where we can apply for NBI clearance. NBI Online Clearance Application Frequently Asked Questions (FAQ’s). I have used this mode before to get my NBI clearance and I paid through Globe GCash. The process was fast and it was very convenient because there were no lines. The downside is that I had to come back after three (3) days to get the NBI Clearance. You also need to include in the application form a passport size colored picture with nametag and white background. There are instant photo studios outside and inside PRC Manila in case you go there without ready photos. As for me, I have ready photos (2×2, 1×1, etc.) which I get from Tronix – they have outlets in malls and their rates are very reasonable. If you have decided to become an accredited salesperson, prepare the above-mentioned documents, pictures, and filled-out forms so that the application process would be smooth-sailing. I believe that being an accredited salesperson is a decent job and would enable many to help themselves and their families. You may ask, however, after one files for accreditation as a salesperson, what next? We are very lucky to have been invited by our friend, Mr. DJ Dimaliuat (from REBAP-Global City), to the 2013 Convention of Driven Marketing Group, Inc. I was really impressed by their vision for the company and most specially for their salespersons – how they encourage everyone to dream and be the best that they could be. 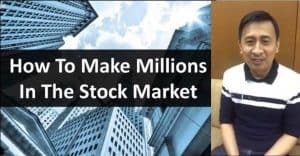 Their Driven Real Estate Academy of Millionaires (DREAM), a training and support program which encourages and guides salespersons in reaching their full potential, is truly laudable. Jay and I will be meeting with DJ again soon to see how we can work together. 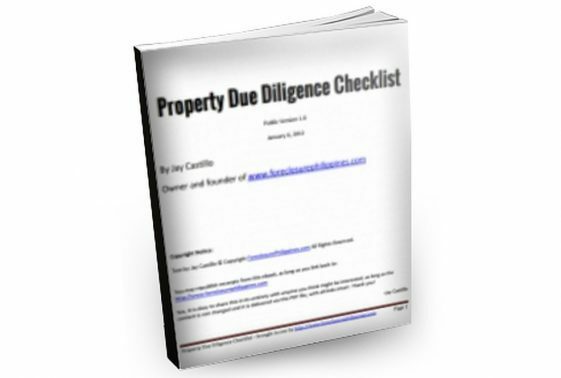 We have not recruited any salesperson to date but now that we’ve seen a system that’s been working for the good of both brokers and salespersons, it may be high time for Jay and I to have salespersons working with us. That would be something! By the way, Driven is also open to brokers. Brokers can also join subject to Driven’s terms and procedures. For newbie brokers or those who have very little idea on how to jumpstart their real estate career, I think joining a real estate association (say, REBAP) and a real estate marketing company with an established training program (say, Driven) would be a good first step. The full rate for the CPE seminar is Php1,800 per day (effectively only P150 per unit). The fee is inclusive of food, handouts, and notarized CPE Certificate. Those who will register and pay the P500.00 reservation fee on or before August 9, 2013 (Friday) will have the discounted rate of P1,600 per day (P200 discount). The balance of P1,100 may be paid on the seminar day itself, August 17, 2013. I strongly recommend that those who wish to attend signify their intention immediately so that they would be assured of seats at the event. Those who will register for all five CPE seminar days to complete 60 CPE units and pay the reservation fee of P2,500.00 on or before August 9, 2013 (Friday) will likewise be entitled to a discount of P200 per day. Thus, the total discounted rate for 60 units (5 days) is P8,000.00 only. The balance of P1,100 per day may be paid on the actual seminar days. Venue will be at the REBAP-LMP Office at the REBAP-LMP Center, 2nd Flr. Tia Maria Bldg. C.V. Starr Ave. Philamlife Village, Las Pinas City. Our venue’s capacity very limited, only around 50 participants will fit in. If we have more than 50 participants, either we stop accepting participants or we will hold the seminar in a bigger venue nearby (we need to know as soon as possible if we need to transfer venues). Thus, I strongly recommend that those who need CPE units register and pay the reservation fee as soon as possible. For those who are not familiar with the building, you may refer to the Google Map below. Dr. Boongaling wants us to have a free-flowing discussion so be ready with the questions you’ve always been meaning to ask about taxation. I can feel that he sincerely wants to educate people so I’m really looking forward to learning a lot from him. Our second speaker will be Mr. Roland C. Angeles, a highly-regarded CPE lecturer with decades of experience in real estate. Mr. Angeles will be discussing the Best Practices in General Brokerage, Leasing, and Project Selling that would maximize the earnings of real estate brokers. He will also be discussing the sample contracts for real estate transactions. I have seen Mr. Angeles teach in the REBAP National General Membership Meeting and I can say that he is really very knowledgeable about real estate. I admire the way he thinks – I learn a lot from the way he analyzes subjects using the macro and micro points of view, and the way he synthesizes and relates the different aspects of real estate to each other. I believe that CPE participants will learn a lot from him. There will be enough time for the discussions and questions as both speakers will have six hours each (with short breaks). For me, whenever I attend seminars, I take the opportunity to ask questions which normally would cost a lot if I had a one-on-one consultation. Also, seminar handouts contain a wealth of information which no book currently available in bookstores can provide. Definitely, the value one can get from attending the seminar is so much more than P1,800. I will be posting the speakers and topics for the seminars on August 31, September 14 and 28, and October 19, 2013 later. For now, let’s focus on our August 17 seminar. The topics will of course be very useful for brokers and salespersons and the speakers will be those who are very knowledgeable about the topics. I am proud to be a part of REBAP-LMP, which I believe is one of the bigger and more active chapters of REBAP. The members are really so knowledgeable and helpful. Real estate brokers who are not members of an association yet are welcome to join, provided they pass the required documents and procedures. For your reference, the annual membership fee is P3,000.00 while those who will be joining just now may pay only half or P1,500.00. The fee is already inclusive of food during our regular meetings. More valuable of course is the wealth of knowledge and extensive network that one may tap as member. I would be very honored if licensed real estate brokers would join REBAP-LMP (I admit, I am biased). Those who wish to join us may send an email to rebaplmpcpe@gmail.com and we will take care of you. If you are not yet sure about joining (understandable of course), please also shoot us an email. You are welcome to join us in our business meetings which are usually held at the REBAP LMP Office every Monday. You may also text or call our secretary, Ms. Andrea Serraon, through 0916-124-2803. Please scan and send the deposit slip to rebaplmpcpe@gmail.com. For questions, you may also email us at rebaplmpcpe@gmail.com. Jay and I will be present in all of the CPE seminars. We look forward to meeting you there. Full disclosure: We are members of REBAP-LMP (Real Estate Brokers Association of the Philippines – Las Pinas, Muntinlupa, Paranaque Chapter) and this is a project of our association.